We are thrilled about the upcoming Guild of Book Workers‘ events to be hosted at NYAM. Fore-edge painter Martin Frost is giving a lecture on October 19th and teaching a workshop on October 20th. Seen at left, the NYAM copy of De Arthritide by John Booth, 1805, features a fore-edge painting of William Harvey. For more information about either event or to register, please email newyork@guildofbookworkers.org. 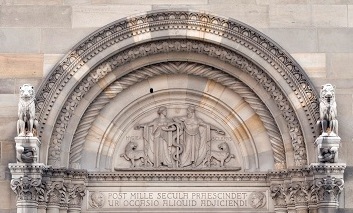 Bas-relief of Hygeia and Asclepius overlooking our main entrance on 103rd St. Our 1926 building features numerous emblems and mythological figures associated with medicine. In this figure, father and daughter have the figure of the staff and snake between them, and are accompanied by dogs, representing watchfulness. The snake in our blog header is a reference to Hygieia, the Greek goddess of health, cleanliness, and sanitation. Hygieia was often symbolized by a snake drinking from a bowl and was shown in sculptures and images with a serpent entwined around her. Her father was Asclepius, the god of medicine, generally depicted carrying a staff with a snake coiled around it. Snakes were introduced in Asclepian temples across the classical world, for use in healing rituals, and have remained associated with medicine in many ways since that time. 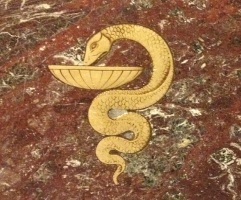 Our snake in-situ on our foyer floor, one of a series of inlaid figures with a connection to the practice of medicine over time. 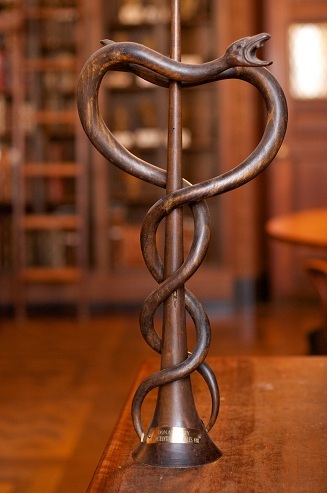 As Walter J. Friedlander describes in his 1992 The Golden Wand of Medicine, the staff of Asclepius remained the primary symbol of medicine in the West until the 16th century, when examples of the caduceus began to be associated with medicine. The caduceus shows two snakes entwined around each other and a central staff, often with wings, and was associated with the god Hermes, especially as a symbol of commerce and trade. It was only in the late 19th century that the caduceus began to be widely accepted as a symbol of medicine. Friedlander suggests that this emerged in part from the use of the caduceus as a printer’s mark by medical publishers. Most significant for the use of the caduceus as a medical symbol in the 20th century was the United States Army’s General Order Number 81, July 17, 1902. Included in its new regulations concerning army uniforms was the instruction that the new Medical Department insignia would be a gold or gilt caduceus. Subsequent arguments about the symbolism of the caduceus interpreted its elements in medical terms. For example, the rod represented power, the wings intelligence and activity, and the serpents wisdom and healing. Others argued that its use should be understood more in the traditional sense associated with Hermes, symbolizing a noncombatant messenger or envoy. Despite initial objections to the appropriation of the symbol, the caduceus is now widely used as a symbol of medical practice, while Hygieia’s bowl continues to be particularly associated with the practice of pharmacy. The Academy started producing the Grey Literature Report in 1999 to fill the gaps in peer-reviewed journal articles and published books in the public health research literature. In general, grey literature publications are non-conventional, fugitive, and sometimes ephemeral publications. They may include, but are not limited to the following types of materials: fact sheets, technical reports, white papers, statistical reports, market research, workshop summaries, and dissertations. Most grey literature is freely accessible through the World Wide Web. Produced by foundations, think-tanks, advocacy groups, government agencies, and academic institutions, it often offers timely, statistical analysis for state-of-the-art research. In May 2012, NYAM launched the new Grey Literature database in order to make it easier for researchers and policymakers to find the information they need. It was no longer enough to index the most current grey literature, but also important to be able to find past reports related to a specific topic. In this way, users are able to see policies that were in place in 1999 and how they have changed over time. Reactions, commentaries, and reports about how the recent ACA decision affect their constituents can come from a variety of perspectives. These commentaries are not easily findable using traditional search methods. Searching Google can be daunting and cumbersome. A simple search for “Affordable Care Act Supreme Court” results in over 7 million hits most of which are news sources. The same search in the Grey Literature Database yields 12 results that have to do with the potential outcome of the ruling for states, people, and the country, mainly written by prominent think tank organizations. Search results from the Grey Literature Report include materials that are not available through normal, commercial distribution channels. A time-saving feature of the database is the ability to bookmark a search or subscribe to it as an RSS feed. The results will dynamically update every time new items are added, which is every 2 months. You can bookmark the Grey Literature search above and re-execute it in September to see the most current results added automatically. An RSS feed will alert you as new items are added. 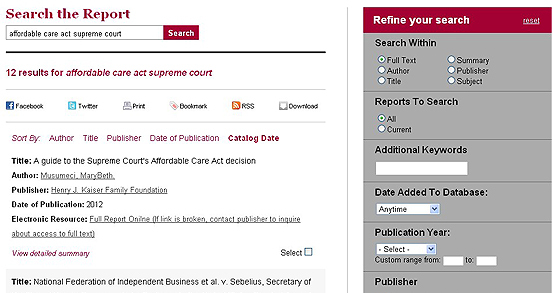 The new database allows users to comment on a specific item, like the Supreme Court report on the ACA decision, as well as share it through Facebook or Twitter. It is now easier than ever to spread the word about the latest grey literature. Some search features include sorting options, publisher and subject limits, and date limits. We hope you will take the opportunity to explore the database, use the new features, and share with your friends. You may also contact us at greylithelp@nyam.org to learn more, send comments, or make recommendations. We would be happy to answer your questions. Thanks to the generosity of the Samuel J. and Ethel LeFrak Charitable Trust and The Samuel J. and Ethel LeFrak Charitable Foundation, Inc., our Rare Book Reading Room is being named in honor of Drs. Barry and Bobbi Coller. The Drs. Coller are both active users and supporters of our historical collections and long term friends to the Rare Book Room. The gift will be used to upgrade the care of our rare book collections in the Reading Room and support the development of the Center for History of Medicine and Public Health. Our thanks go to the LeFrak family for their support. Earlier this year we were delighted to host artist and scholar Cindy Stelmackowich as our 2011-2012 Helfand Fellow. Cindy was kind enough to share her thoughts on the Fellowship, and how it fits into her research trajectory. “Receiving the 2011-2012 Helfand Fellowship in the History of Medicine has wonderful meaning to me, on both personal and professional levels. In fact, the opportunity to conduct research in the Rare Book Room at the New York Academy of Medicine completes a circle for me; its rich holdings have been pivotal to my development as a scholar. Antoine Toussaint de Chazal, Maladies du Poumon [Lung cancer, lung cysts], 1829-1935, lithograph, 15 x 7.5 inches, pl. ll. in Anatomie pathologique du corps humain by Jean Cruveilhier. (Paris 1829-1835). Arriving to New York from Canada for the residency at the Rare Book Room in March and April 2012 was not the first time I had an extended stay in New York City. After I finished an M.A. in Art History in 1999 from Carleton University in Ottawa, I moved to New York and worked in a contemporary gallery in SoHo as a curatorial assistant. Visiting galleries and exhibitions was a daily activity for me. Featured at The New York Public Library at this time was an exhibition entitled “Seeing is Believing” – a wonderful exhibition that focused on the ways illustrations were essential in spreading new scientific and medical ideas. I was hooked! I knew at that moment that not only did I now want to complete a Ph.D, but I needed to see and learn more about the illustrations and rare books I was exposed to in that exhibition. 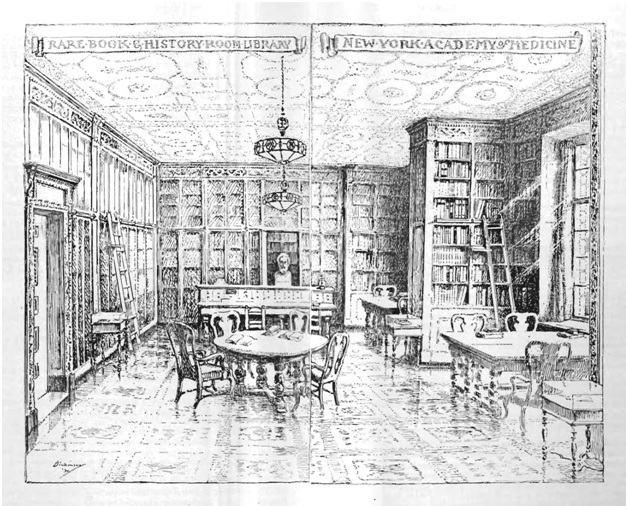 The exhibition labels noted that a number of the medical books were from the collection of the Rare Book Room at the New York Academy of Medicine. Off I went to find this treasure-trove of a library on Fifth Avenue. Needless to say, I continued to consult The Rare Book holdings at the New York Academy of Medicine while writing my dissertation on nineteenth-century anatomical atlases; no scholarly attention had previously been conducted to analyze this specific group of important medical publications and visual diagrams. It was thereby very heartening to receive the 2011-2012 Helfand Fellowship at a time when I had finished my dissertation and am happily preparing a book manuscript on anatomical and pathological atlases. At the end of my residency in April 2012, I presented a public presentation on my research entitled Picturing Pathology: Morbid Anatomy Diagrams, Pathological Atlases and Disease 1800–1840. This paper examined how pathological ideas were embedded in new types of visual representations and newly re-ordered types of anatomical textbooks. It focused on the complex web of interconnections among disease, the body and visual representation; how aesthetic strategies, visual codes and rhetorical tropes attempted to represent key pathological concepts, discoveries and models of perception as visual diagrams became crucial to this young discipline of pathology. 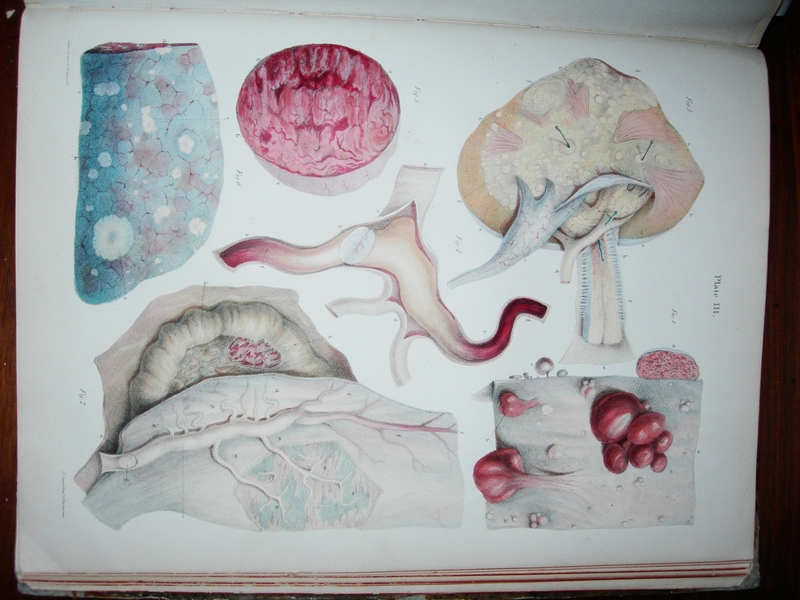 The two images included in this posting represent the new types of visual imagery that emerged within medicine at the beginning of the nineteenth century in France and Britain as new systems of pathology were developing. Doctors used these innovative pathological illustrations to teach medical students how to identify signs of morbidity and disease. The desire for precise diagrams based on minute dissections of diseased tissues was of great interest to both surgeons and medical students; physicians began to either commission artists to execute detailed diagrams to add to their novel publications or spent years executing drawings of their findings. 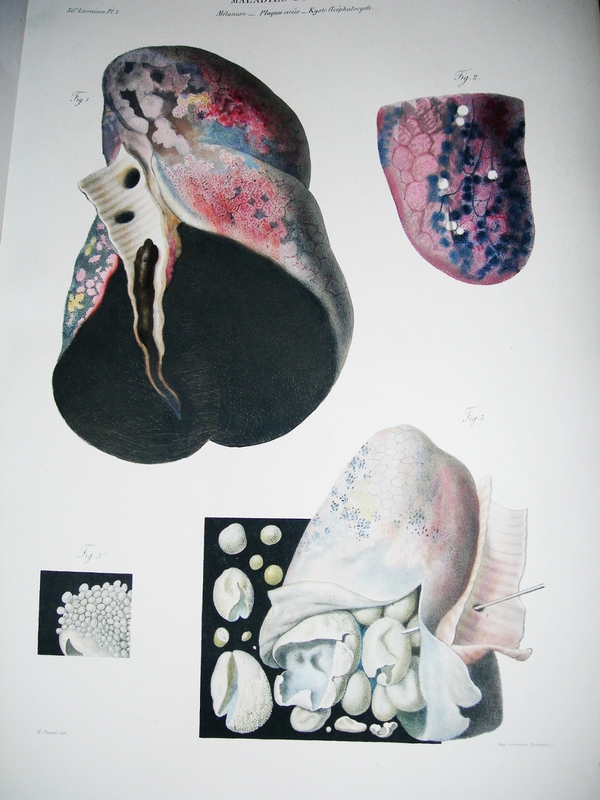 Renowned for his artistic skill as well as his anatomical knowledge, Sir Robert Carswell for example, executed the drawings in his 1838 folio-sized atlas entitled Pathological Anatomy: Illustrations of the Elementary Forms of Diseasehimself, and, as an expert lithographer, personally transferred the drawings to stone for the lithographs used in the atlas. Robert Carswell, Neoplasms of the peritoneum, the stomach, the kidneys, the portal vein and the lung, 1832, lithograph, 13.8 x 9 inches, plate III., in Pathological Anatomy. Illustrations of the Elementary Forms of Disease by Robert Carswell. (London 1832-1838). My scholarly interest in these early pathological manuals outline how the dead body was initially made into a working pathological object by the profession. Central to this work is a close analysis of the visual languages of this specific archive of pathological diagrams. In this regard, I am interested in how art – its grammar, forms, aesthetic strategies – articulated and represented pathological concepts, discoveries and models of perception in the young field of pathological anatomy. This study examines the aesthetic theories that informed the dissection diagrams’ languages of representation; such as the Western art historical models and academic techniques in the art schools where anatomical illustrators were trained. 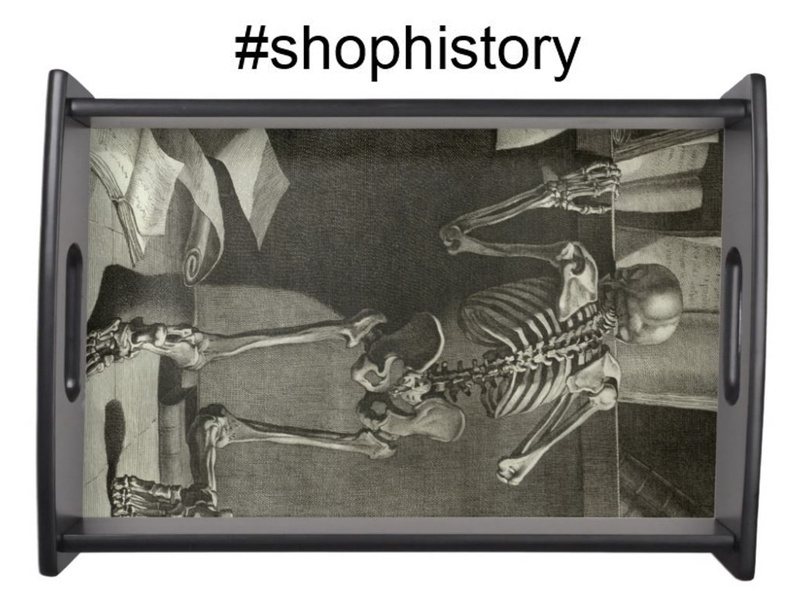 Furthermore, my project will examine the myriad of representational techniques that encoded these unique images so that the various types of morbid specimens appeared as systematic, encyclopedic collections of disease. Thank you once again to Bill and Audrey Helfand for creating and endowing this Fellowship at the New York Academy of Medicine, and to the librarians and staff in the Rare Book (Arlene Shaner and Rebecca Pou) for making my residency fruitful and enriching. In 2012-2013, Cindy will be a Postdoctoral Fellow with the “Situating Science Strategic Knowledge” Cluster group at University of King’s College and Dalhousie University in Halifax. Her most recent publication, “The Instructive Corpse: Dissection, Anatomical Specimens and Illustration in Early-Nineteenth Century Medical Education,” will appear in a special September 2012 issue of Spontaneous Generations: A Journal for the History and Philosophy of Science devoted to “Visual Representation and Science.” You can view some of Cindy’s artistic investigations here. 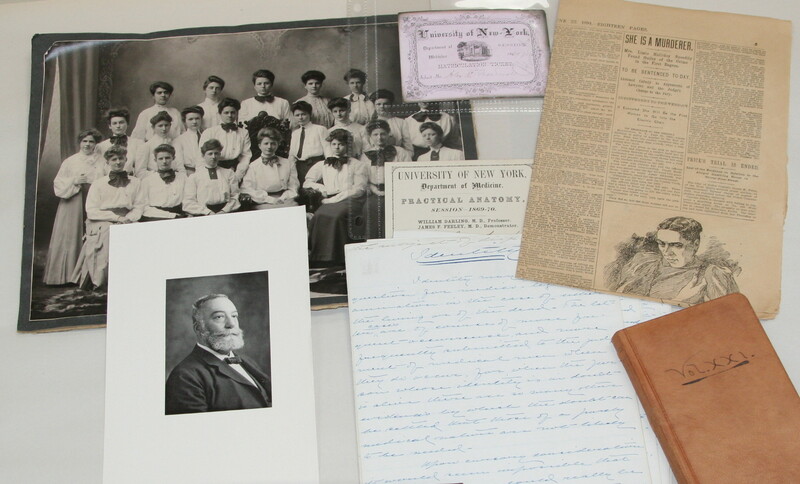 Welcome to Books, Health and History, at theThe New York Academy of Medicine’s Center for the History of Medicine and Public Health. 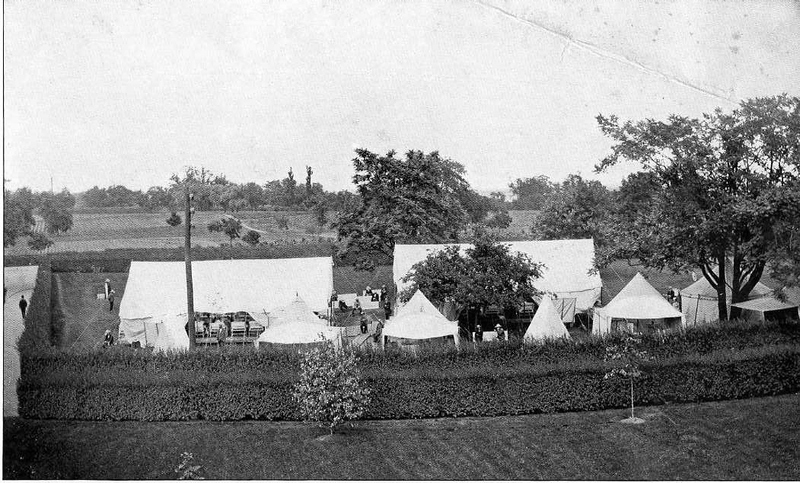 On this blog we’ll be presenting news of events, updates on activities, and exploring our collections in the history of medicine, public health and the book.